Here is very pleasing sleep meditation by 7 year old Lindsey. 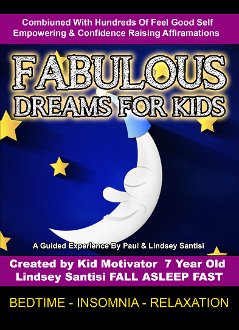 She recorded hundreds of feel good sleep affiramations to assist kids and adults alike to experience fabulous dreams. You will enjoy your experience.